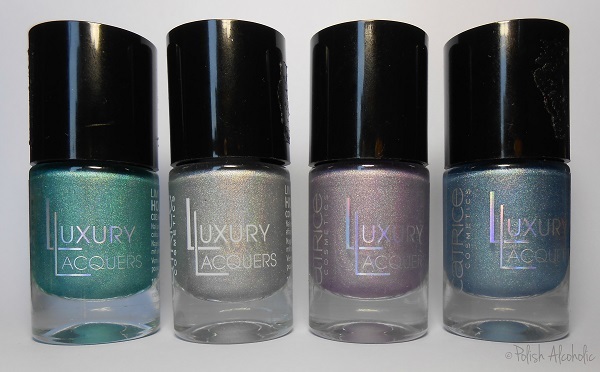 Along with 4 ‘chameleon shades’, 8 glitter shades and 8 textured polishes Catrice also released 4 holographic shades. Hooray! These are the so called Holomania polishes. These made up for my disappointment in the Chameleon shades, reviewed here. 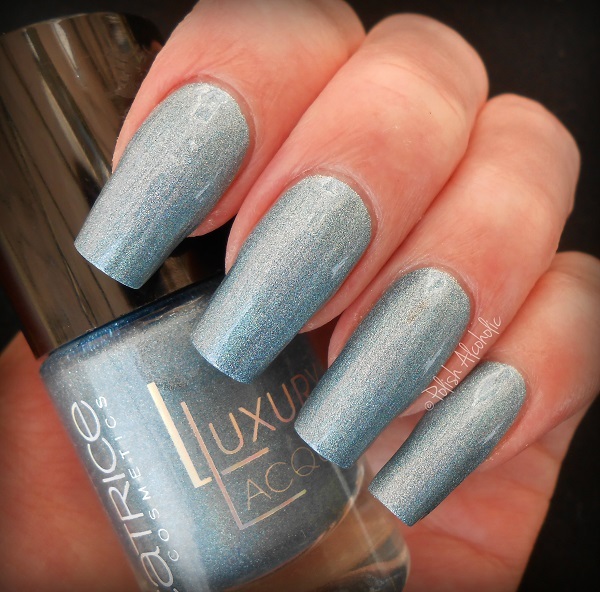 Catrice did a great job with these. Of course there are stronger holographic shades out there but these are all pretty nevertheless. They have a good pigmentation and don’t need a special base coat to prevent bald spots. Scroll down for swatches! First up, the silver shade Holo Manolo. I used two coats plus top coat for my swatch but I could have got away with one generous coat. Plum Me Up Scotty, is a soft lavender hue. 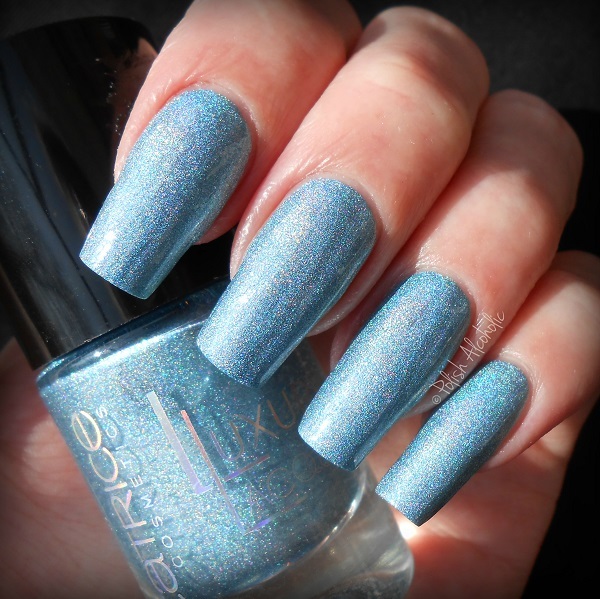 This is also two coats plus top coat: The blue one is called ApHolo7. 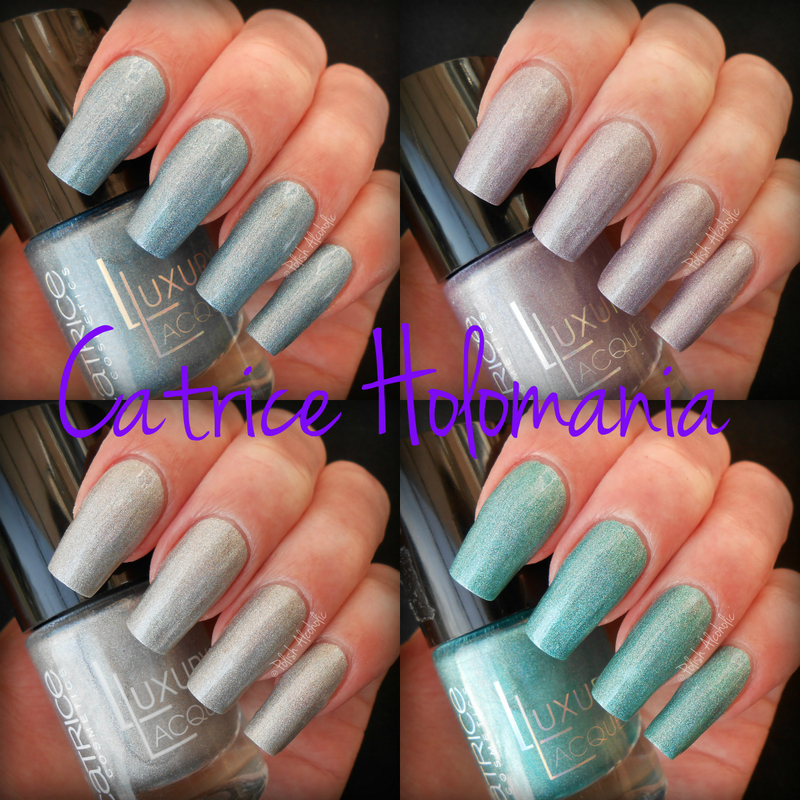 Again, two coats plus top coat: My absolute favorite is Holo In One, a minty green hue: Which one do you like most? This entry was posted in Catrice and tagged catrice apholo7, catrice holo, catrice holo in one, catrice holo manolo, catrice holografisch, catrice holographic, catrice holomania, catrice luxury lacquers, catrice plum me up scotty, holographic, nail polish, polish alcoholic, review, swatches by Polish Alcoholic. Bookmark the permalink.